Unless, that is, you’re a fan of Sybille Bedford. I first came to Sanary in 2004, but it wasn’t until I read Sybille Bedford’s memoir ‘Quicksands’ that I opened my eyes to its literary past. Bedford – who died in 2006 – was, like Patrick Leigh Fermor, one of that vanishing generation of travel writers who lived a remarkable life, wrote beautiful prose and never had to drag a fridge anywhere to please a reluctant publisher. Her chaotic, bohemian childhood saw her wash up in Sanary in the interwar years, just as it became a place of refuge for writers and intellectuals fleeing the rise of fascism. You want names? Sanary’s interwar exiles are names to conjure with: Thomas Mann, his brother Heinrich, Bertolt Brecht, Lion Feuchtwanger, Stefan Zweig and Mahler’s window, Alma Mahler-Werfel. Not all the exiles were escaping Hitler: Aldous Huxley produced some of his greatest work while living at the Villa Huley close to La Gorguette beach. Bedford knew the Huxleys, and subsequently became his biographer. The dinner parties must have been intimidating. War came and scattered the exiles to the four winds. Mann’s house fell victim to the Nazis, who demolished it to make way for coastal defences. But Huxley’s villa is still there, and is marked by a plaque. So too is Bedford’s much more modest house on chemin du Diable. Pick up some information from the tourist office by the port and you can spend an enjoyable afternoon chasing literary ghosts. In the nicest possible way, Sanary is a little old-fashioned. Its architectural ensemble is unimprovable: there are no filing cabinet apartment blocks to spoil the harbour. Instead, it’s dominated by the church tower, the mairie and the venerable Hôtel de la Tour where Sybille Bedford spent her first night. There are yachts, of course – this is the south of France – but unlike its neighbour Bandol, Sanary doesn’t have a marina so big you can’t actually see the sea. There are foreign visitors, but no braying expats; tempting restaurants, but nothing bling enough to lure a St Tropez celebrity. There’s an old-fashioned bandstand by the port, and a pretty little cinema on the avenue Gallieni, as timeless and unmistakably French as Babar the elephant. There are beaches: a brace of modest coves west of the port, and Huxley’s beach at La Gorguette, dominated now by a slick new hotel. Longer beaches are found east of town in Six-Fours-les-Plages, and if you’re a seeker after secret coves, the far side of Cap Sicié has some as charming and modest as any in the south of France. I returned to Sanary this summer on a warm July night to find the harbour in full swing. From a live stage by the tourist office the rhythms of a Latin American band blared. On the quay a night market was busy with visitors, browsing contentedly for crafts. I browsed too. Not for jewellery, but for dinner: picking my way from one menu to another until I found what I was looking for. I selected a table just back from the quay. The restaurant was tiny – little more than a pop-up, its interior all kitchen and its handful of tables teetering on the kerb, a little too close to the traffic. I didn’t particularly mind; no Mediterranean port is entirely complete without the drone of scooters or the faint threat of motorised death. The meal was simple: soupe de poissons, dark and fishy, served with rouille, croutons and creamy gruyère. A perfect glass of cool rosé. Fresh grilled fish with salt, lemon, a scattering of herbs and a little olive oil. A small salad. It was wonderful. What I paid would have bought no more than a scornful look in London. 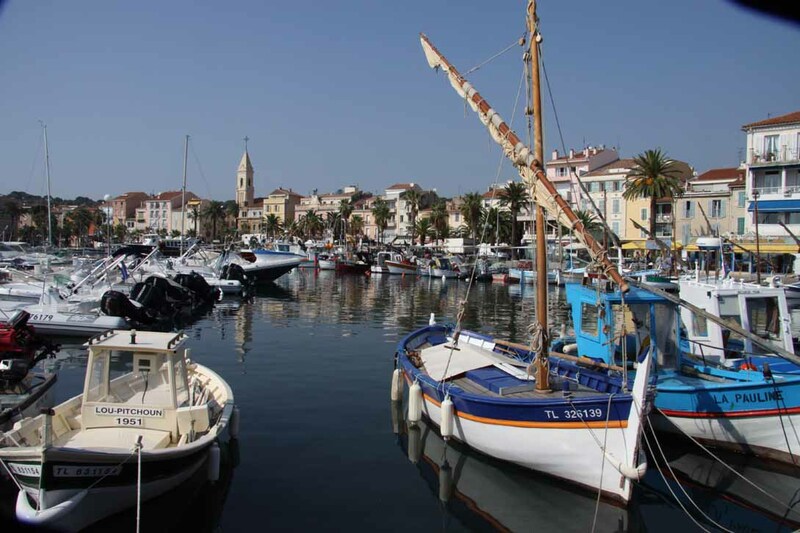 Little ports in the south of France just don’t get much better than that. Oh, I doubt it’ll ever be hot or happening. 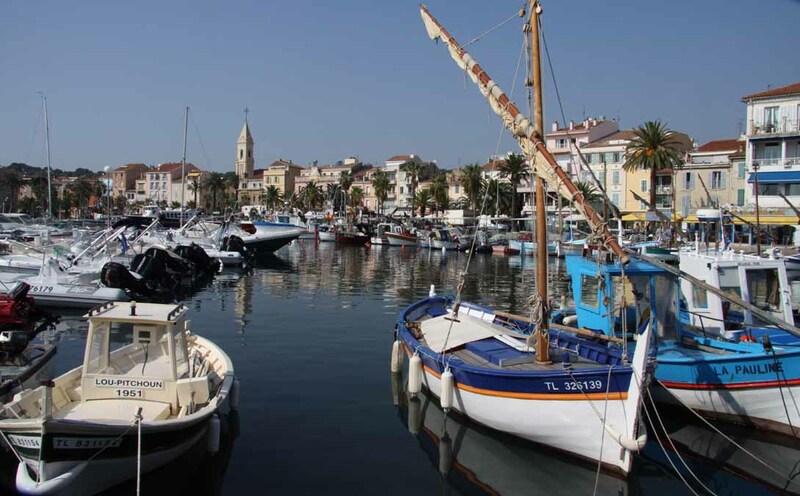 Sanary is on the ‘wrong’ side of Toulon, which is in turn – and in some respects unfairly – the most unfashionable city in the south of France. It’s not on the travel industry’s radar. But if that’s what it takes to save it from a fate worse than St Tropez, so be it. Perfection beats a glimpse of Simon Cowell any day. Ryanair connects London Stansted with Toulon-Hyères airport in the summer months; otherwise, fly to Marseille and pick up a hire car. Hôtel de la Tour (sanary-hoteldelatour.com; around €95) is the traditional choice, right on the port and with a good restaurant; Hostellerie La Farandole (hostellerielafarandole.com, from €235) is the luxury choice on Huxley’s beach. Actually, I really love beer. Dark, malty ales. An occasional Guinness. Crisp chilled pilsner on a warm summer’s day. Elegant Kölsch in piddling little glasses. Belgian beers so strong you fall over after two. Not to forget their lambric beers. Why, I could crack open a kriek right now. But I had come to the conclusion that the beer didn’t really love me. I have reached that age where calories turn from your friend to your enemy, and even the best of enemies must be fought. I was running faster at the gym but no longer standing still. Each time I weighed myself was another Stalingrad on the way to beery Götterdämmerung – or at least to moobs and elasticated waists. Which was not a prospect I viewed with any enthusiasm. I wanted to give it a good send-off, so I chose Bamberg for the wake. Quite apart from the fact that it’s one of those stunningly beautiful Ruritanian micro-capitals Germany specialises in (see ‘Beautiful Bamberg’ for details) it’s one of the most interesting beer towns in Germany. More so than Munich as far as I’m concerned, since my tastes tend towards toasty malty amber or dark ales with twigs and bits of beard in them rather than to burp-inducing wheat beers. Bamberg beers are darker and more full-bodied than lagers. Nine breweries produce 50 varieties of beer within the municipal boundaries. Not bad for a modest-sized cathedral city with a population of 70,000. They’re small family-run businesses rather than big industrial conglomerates, so that – with one notable exception – you really have to travel to Bamberg to sample the product. It’s all brewed according to the age-old Reinheitsgebot – the Bavarian purity law – which means there are no lurking chemical nasties in the beer. And what pubs they have to sup it in: not for Bamberg the vast scale and (occasionally forced) bonhomie of a Munich beer hall, but plain-deal simplicity, sagging beams and a feeling of having been around for centuries. They’re like old British pubs from an age before fruit machines and microwaved ‘gastropub’ meals. The food here is usually pretty good if you like filling, meat-based Germanic winter warmers. The first pub on any tourist itinerary – and the one that has spread Bamberg’s beery fame beyond Germany’s borders – is Schlenkerla in the Bergstadt, the old ecclesiastical quarter that is nowadays Bamberg’s main bar strip. It’s everything you’d want an old German hostelry to be: half timbered, with low black beams and a history that dates back to 1405. The interior’s only adornment is a big kachelofen (tiled oven) and the staff are suitably – if not invariably – grumpy. I once made the mistake of sitting at the stammtisch – the table reserved for regulars – and was swiftly despatched to a shared table nearby, a happy accident that led to a long and very boozy evening in the company of a cycle-mad teacher and the world’s leading self-appointed expert on grappa. I don’t remember too much of what he said about the stuff, but it seemed prudent to sample a few glasses to test his theories. The rest of that evening is a bit of a blur. Schlenkerla’s chief claim to fame is its Aecht Schlenkerla Rauchbier, a dark smoked beer that in bottled form is available outside Germany. I think the draught beer served in the pub lacks some of the bottled variety’s shock factor, though there’s still an element of surprise in the first sip of a beer that has a distinct whiff of Westphalian ham about it. The flavour comes from beech-smoked malt; it’s an acquired taste, but the beer’s underlying mellowness usually wins converts in the end. From Schlenkerla, a few minutes of drunken wandering is all it takes to reach Klosterbräu, on a peaceful lane lined with magnificent historic town houses. The pub itself is no less historic than its surroundings: it’s the former Prince-Bishops’ brewery, and remained in their hands until 1790. The interior has all the austerity of Schlenkerla but it feels more the haunt of locals than of the tourist hordes, at least in the depths of the Bavarian winter. It’s a wonderful place to eat hearty, unpretentious Franconian food and the malty, amber-coloured Braunbier was the absolute highlight of my beery wake. It’s a stiff ten minute walk uphill to reach Greifenklau, the last port of call on my miniature pub crawl. 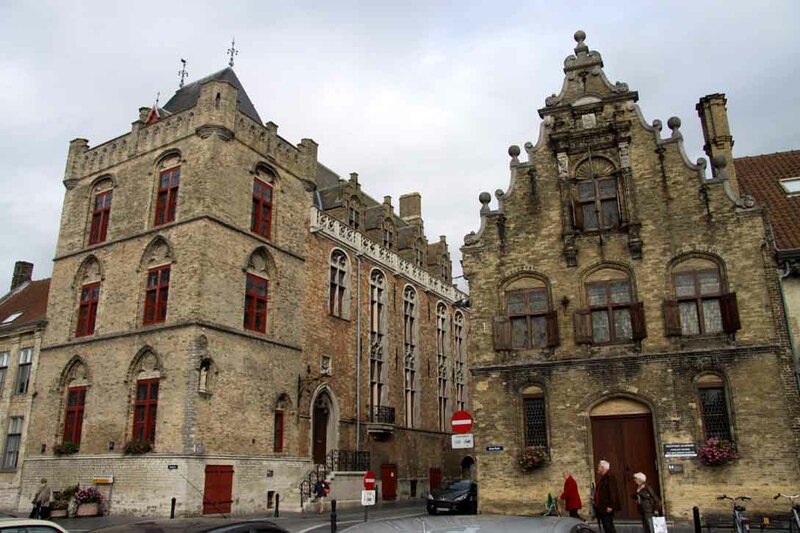 But it’s worth the climb: the historic houses just go on and on, diminishing in size as you leave the historic centre until they are pleasingly cottagey in size and general homeliness. The pub couldn’t be more snug, and if the service was gruff upfront it swiftly melted into the friendliest welcome of my brief stay in Bamberg. Lighter and more lager-like than other Bamberg brews, the beer was nevertheless light years from the industrial liquid known in Britain. Different too were the Europhile views of my drinking companions, who professed themselves baffled at Mr Cameron’s EU manoeuvres. In all, it was a splendid send-off. But it didn’t work out quite as I had planned. Parting from beer in Bamberg was such sweet sorrow that, on reflection, I decided against an absolute ban. Since my return from Germany I have eschewed British lager altogether. This took care of 95% of my alcohol consumption (and 5kg of excess weight in eight weeks) and was, in practice, no great hardship, since no matter what the fancy foreign label on the tap may say, all lager served in British pubs seems to be weak, fizzy and characterless. Tell Germans about Becks Vier – a weaker version of that German brew conceived specially for the British market – and the reaction is not unlike that of Cadbury’s Smash aliens confronted with a potato peeler. They fall about laughing. My ‘ban’ may be partial, but I have changed my ways, probably for good. I no longer have a beery nightcap in the pub most days, but the Guinness – which was only ever a once-in-a-while pleasure – is still on the menu if the mood takes me. 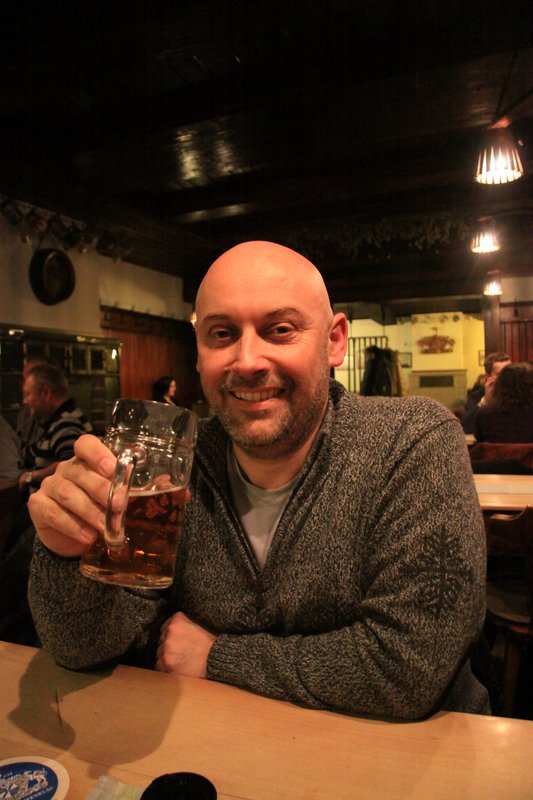 And the next time I’m in a beer town like Bamberg, I will surely say ‘Prost!’ to a glass of the good stuff. I’m not big on Christmas, but I do like a good Christmas market. There’s something about browsing for baubles in sub-zero temperatures that melts my flinty atheist heart. It’s probably the Glühwein. Since the Anglo-Saxon idea of what Christmas looks like is for the most part a Teutonic import, it seems logical to make a seasonal pilgrimage to the source. To Germany or Austria. Not all Christmas markets are created equal, and while some are international travel magnets others are altogether more modest, local affairs. I have concentrated on the latter. Size isn’t everything, and what the following lack in big-city buzz they more than make up in fairytale charm. So here are my hot tips for a cold season. Instead of Nuremberg, try Rothenburg ob der Tauber: http://www.rothenburg.de/d/ISY/mlib/media/ChristmasMarket2011_engl_web.pdf?mediatrace=.5376. Nuremberg’s Christkindlesmarkt is as ur and echt as they get, a classic Christmas market in a setting that’s steeped in German history. Including one or two of the more unsavoury bits, but let’s gloss over those for now. If anywhere can top Nuremberg for atmosphere it’s surely Rothenburg ob der Tauber. You may not have heard of this exquisite little Franconian town but you surely know what it looks like, for it had a starring role in the film version of Chitty Chitty Bang Bang. Perched on a hilltop overlooking the valley of the river Tauber and still defended by its city walls, it’s like something straight from the Middle Ages. Alas, as magical as it is, Rothenburg is no undiscovered secret, and if anything is likely to mar the lost-in-time charm it’ll be sheer numbers, for this is a regular honeytrap for the bus tours. On the upside, there’s a Christmas museum and a Käthe Wohlfahrt Christmas store that’s open all year round, making this the perfect destination for those who – unlike me – wish it could be Christmas every day. How to get there: Air Berlin (airberlin.co.uk) fly to Nuremberg from a number of UK airports. From there, pick up a hire car – Rothenburg is just off the A7 Würzburg-Ulm autobahn. Now this place really is an undiscovered gem: a beautiful historic town on the Danube, between the asparagus-growing country around Schrobenhausen and the Jurassic landscapes of the Naturpark Altmühltal , where there seems to be a castle atop every second crag. The market itself focuses on Schrannenplatz in the lower part of the town, and if it isn’t the biggest or most spectacular in Germany, it nevertheless boasts a free skating rink and offers a wonderful excuse to spend time in a setting so Christmassy you’ll want to wrap it up and take it home with you. You can’t miss Neuburg’s enormous Renaissance Schloss because it looms over the town in properly feudal fashion, but be sure to see the handsome gabled houses tucked behind it in the patrician upper town. It’s also well worth making a side-trip to Neuburg’s equally picture-postcard neighbour, Eichstätt. Until 23rd December. How to get there: Easyjet (easyjet.com) fly to Munich from London Gatwick, London Stansted, Manchester or Edinburgh. From Munich it’s about an hour by train via Ingolstadt; from Munich airport to Neuburg takes just under an hour by car. Frankfurt is a veritable superpower among Christmas markets, with a tradition that dates back to the Middle Ages and a hugely successful British offshoot in Birmingham. Christmas in the university town of Marburg is modest by comparison; even the Riesenrad or ‘big’ wheel is a toytown affair, strictly for the children. The hilly, half-timbered Oberstadt (upper town) is a truly wonderful setting for some seasonal shopping, with the castle of the Hessian Landgraves crowning the skyline. 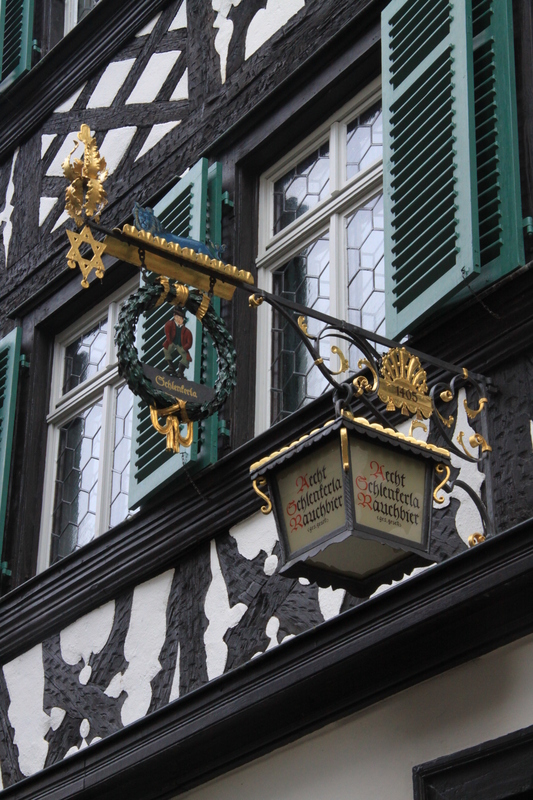 Right on the main square there’s a little museum dedicated to the Marburg Romantic circle, whose members included the Brothers Grimm. You don’t get much more fairytale than that. Scarcely less appealing is the Unterstadt (lower town), with a second cluster of stalls around the impressive Gothic Elisabethkirche. Some of the best options for eating, drinking and staying are in this part of town, too. I have to declare an interest here, because my own holiday home is on a hillside overlooking this stunningly beautiful Austrian lake. Close enough to Salzburg to make for a viable two-centre trip and with as many Julie Andrews points as the former when it comes to Sound of Music locations, Wolfgangsee is one of the most beloved of all the lakes in the Salzkammergut region, ringed by mountains and with three villages on its shores. The bus trips tend to go for St Wolfgang, the largest village; if you prefer complete relaxation then Strobl, at the eastern end of the lake, won’t give you sleepless nights. The westernmost of the three is St Gilgen, and it’s a good compromise, with fewer day trippers than St Wolfgang but a lot more life than Strobl at this time of year. As for the markets, the produce is impeccably local: bath salts made with the pink mineral salt that gives the region its name, sheep’s milk soaps and flavoured schnapps – be sure to try Zirbe, flavoured with Swiss pine and tasting like an alcoholic walk in the woods. The markets reopen on 25th December and stay open until New Year’s Eve. How to get there: Easyjet (easyjet.com) fly to Salzburg from Gatwick, Luton, Bristol and Liverpool. From the airport it’s a 45 minute trip by car; the bus from central Salzburg takes around the same time. As wholesome as Westphalian ham and reputedly the place where pumpernickel was invented, Soest is an enchanting place to visit at any time of year, with a backdrop of half-timbered houses and green sandstone churches that makes it a particularly fine setting for a Christmas market. 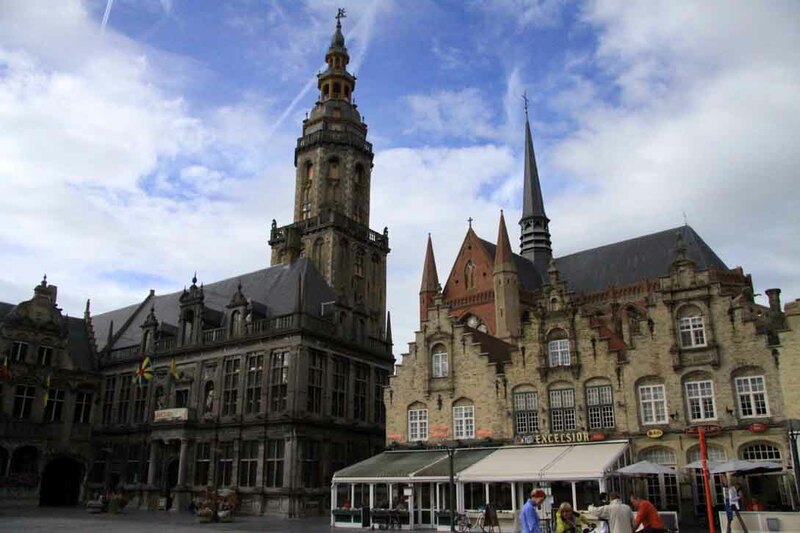 The attractions include an old-fashioned carousel and the produce ranges from jam and marzipan to Hungarian specialities from Soest’s twin town. 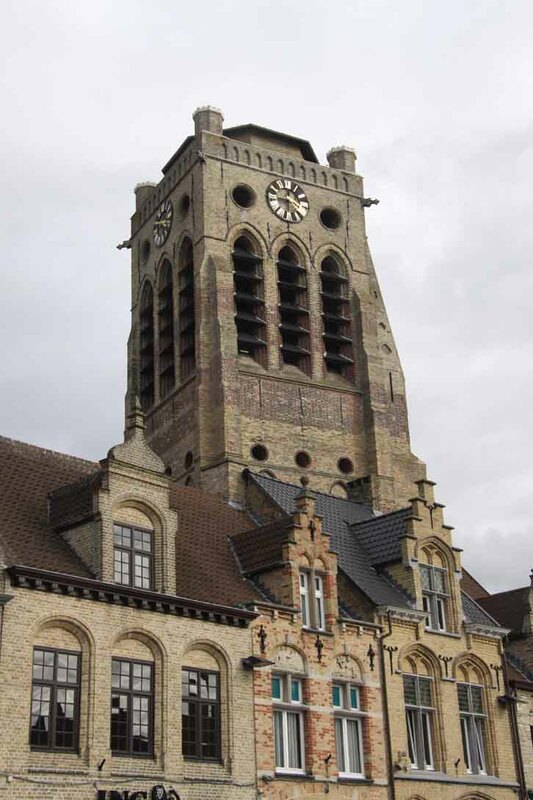 But Soest itself is the real star, with market stalls taking pride of place in the main market square and huddling in the lee of the twin churches of St Petri and St Patrokli. How to get there: Easyjet (easyjet.com) fly to Dortmund, from where it’s just 40 minutes to Soest by bus and train.